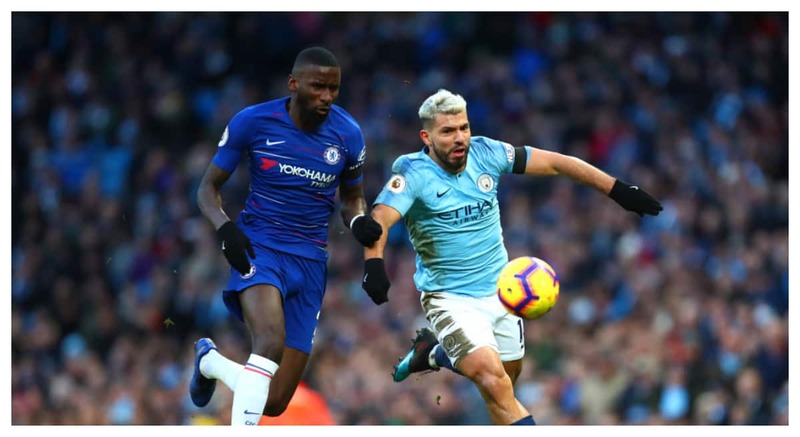 Antonio Rudiger tried to apologise to Chelsea fans after the thumping by Manchester City – but was instead met with a barrage of abuse. The Blues defender, 25, was part of the leaky defence which shipped six goals at the Etihad yesterday afternoon and he was desperate to say sorry to the travelling supporters. But when he headed over to the away section and took off his shirt to give to a supporter, fans blasted him. One particular supporter had an angry exchange and the German seemed to want to jump the barrier to confront the fan. 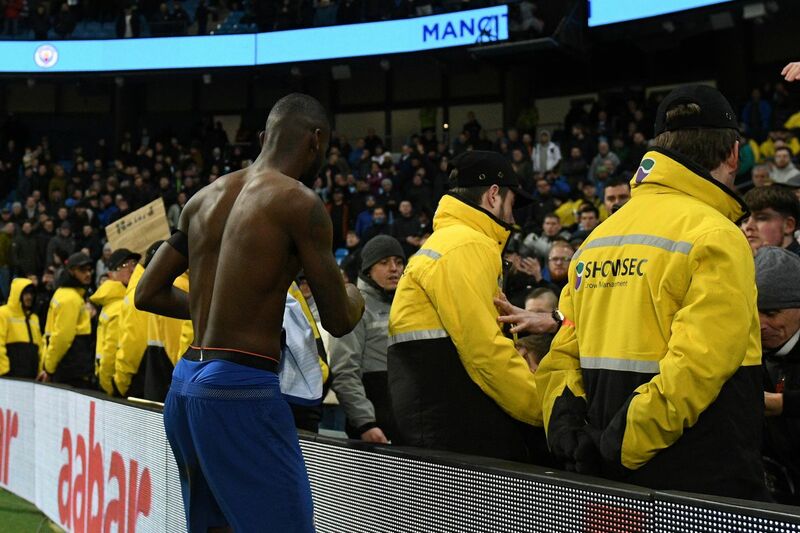 Security guards were in place to keep order and Rudiger pleaded with the Chelsea supporter, appearing to say: “I’ve come over to say sorry – stand in front of me if you’ve something to say.” The incident was shared on social media by @CarefreeLewisG, who wrote: “Rudiger staying to apologise to Chelsea fans. At least he cares.”One supporter was so incensed that they decided to throw their membership card on to the Etihad pitch before it was then picked up by a steward. Rudiger is proper Chelsea the other 3 in that back 4 yesterday ain’t fit to wear the shirt anymore azpilaqueta treading water all season! However, while there was plenty of fans showing their anger, others showed respect to Rudiger for coming over and facing the fans for around one minute. Chants of “Rudi, Rudi, Rudi” were accompanied by applause for the defender, who had struggled to cope with Sergio Aguero and the Manchester City attack. Aguero bagged himself yet another hat-trick to tie with Alan Shearer’s Premier League record of 11.Raheem Sterling, two from Aguero and Ilkay Gundogan but City 4-0 up within 25 minutes before Aguero and Sterling rounded off the win in the second half. Chelsea captain Cesar Azpilicueta confessed: “It’s one of the worst nights in my career. It’s difficult to explain what happened. “The first five or six minutes went well but that is not enough. It is very frustrating and disappointing. We’re conceding a lot of goals and we cannot accept that. The result was Chelsea’s worst in all competitions since 1991, when they were humbled 7-0 by Brian Clough’s Nottingham Forest, and meant this weekend they dropped from fourth to sixth. Worryingly, it is the second time in three games fans have been apologised to. On January 30, in the Blues’ last away game, they were thrashed 4-0 by Bournemouth.